Would you like to have a mini-library on the subject of EMC and Signal Integrity that covers the frequency range from DC to light. The following three books, all highly recommended, will accomplish that. All the books are very readable, with a minimum of mathematics, and as a bonus there is very little overlap between the material contained in each of the books. I refer to all three of these books regularly. 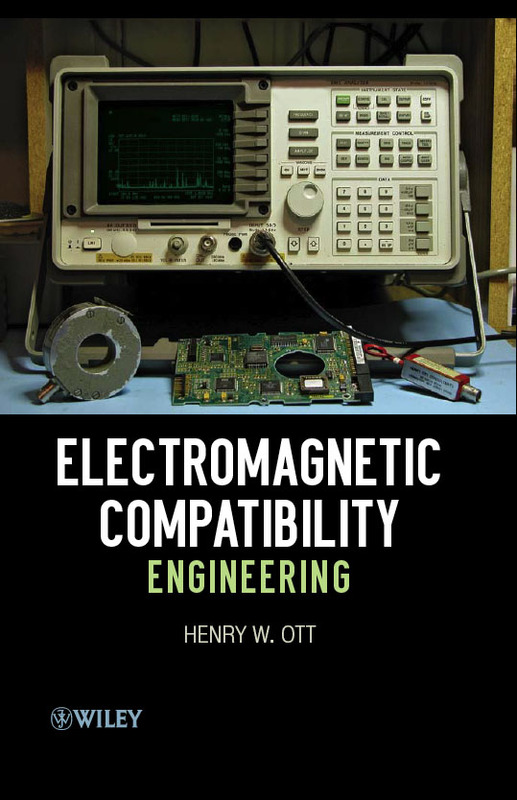 Electromagnetic Compatibility Engineering, by Henry W. Ott, published by John Wiley & Sons in 2009 has won the PROSE Award from the Association of American Publishers for the best book published in 2009 in the category of Engineering and Technology. It is the most comprehensive book on the subject and is the first EMC book that you should read. In addition to the core subjects of cabling, grounding, balancing, filtering, and shielding that made my previous book, Noise Reduction Techniques in Electronic Systems, an international success (translated into six other languages), this new book includes additional coverage of equipment and systems grounding, switching power supplies and variable speed motor drives, digital circuit power distribution and decoupling, PCB layout and stackup, mixed-signal PCB layout, rf and transient immunity, power line disturbances, and simple pre-compliance EMC measurements. Written in an easy to read and understandable style, it’s full of real-life practical examples. This book contains eighteen chapters, six appendices, and 872 pages. 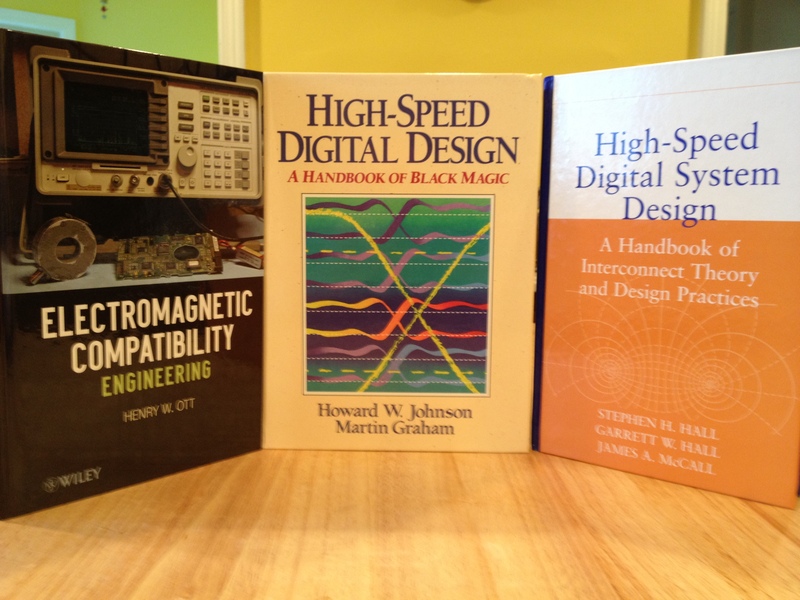 High-Speed Digital Design, by Howard Johnson and Marty Graham, published by Prentice Hall in 1993 picks up where Electromagnetic Compatibility Engineering leaves off, with respect to high-speed digital circuits. Despite its title, this is more an EMC book than a classical digital design book. Its subtitle, “A Handbook of Black Magic,” gives away its true nature. Besides containing much practical information on the EMC aspects of high-speed digital design, the book also contains useful information on various measurement techniques that can be used to measure such things as power-ground plane impedance, metastable states, etc. Subjects include transmission lines, terminations, vias, clock distribution, clock oscillators, ribbon cables and connectors, layer stackup, and power distribution. This book is considered by many as a “crossover book” covering both EMC and signal integrity. Everything in this book is easy to read and practical. A “must have” book if you are designing high-speed digital circuits! This book contains twelve chapters, three appendices, and 447 pages. High-Speed Digital System Design, by Hall, Hall, and McCall, published by John Wiley and Sons in 2000 continues where the Johnson and Graham book ends. This is a signal integrity book! It is very well written with a good balance between theory and practical applications. The first sentence of the book sets the tone of the book; it reads, The speed of light is just too slow. Subjects include transmission line considerations, crosstalk, IC package and pin-out considerations, power delivery and decoupling, non-ideal current return paths, simultaneous switching noise, timing and skew considerations, and radiation. The book also includes a chapter on design methodologies useful in the design of high-speed systems with a large number of variables. As does the Johnson and Graham book, this book contains a chapter on high-speed measurement techniques. The information contained in this book is useful at both the IC and PCB level. This book contains eleven chapters, six appendices, and 347 pages. 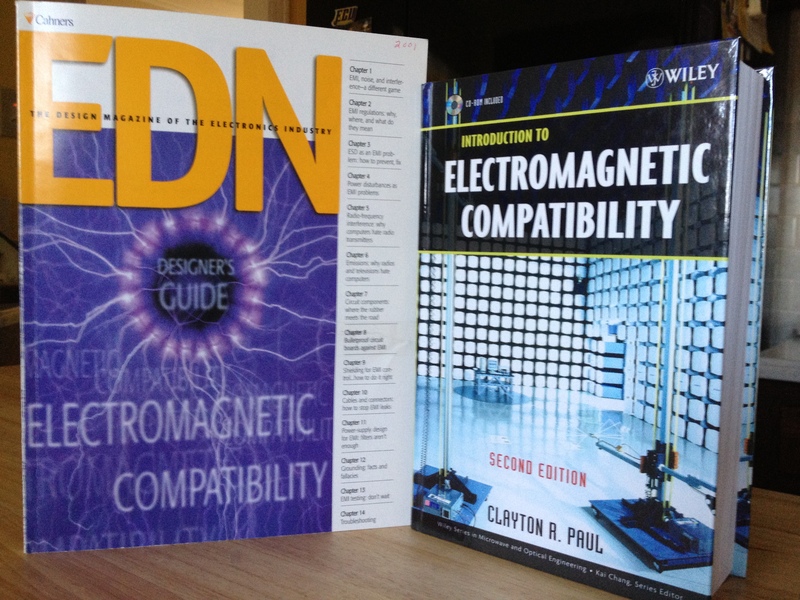 EDN Designer’s Guide to Electromagnetic Compatibility, Second Edition, by Bill Kimmel and Daryl Gerke, 2000 (originally published by EDN magazine in 1994), is a practical nuts and bolts approach to EMI, written for the non-EMI expert. One hundred pages of down-to-earth practical advice on EMC, without any equations or mathematics, by two authors who work regularly in the EMC trenches. The paperback book is available on the authors’ web site. Introduction to Electromagnetic Compatibility, Second Edition, by Clayton Paul, published by John Wiley and Sons in 2006 is more theoretical than any of the other books, as it was intended to be used for a university course in EMC. A good book to get more detail on the theory behind EMC. Lots of useful information, especially the chapter on crosstalk, a subject that Dr. Paul is considered to be a leading expert. This book contains eleven chapters, four appendices, and 1016 pages. So there you have it, three, (or possibly five) books that cover 90% of what you need to know about Electromagnetic Compatibility.